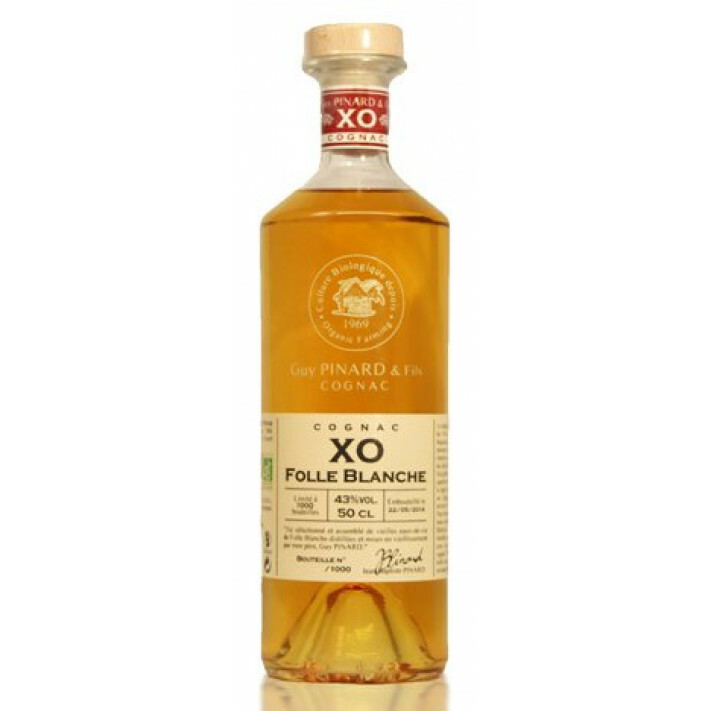 The Guy Pinard XO Folle Blanche 2004 Pinard is a Fins Bois vintage from, as the name suggests, 2004. A slightly rare type of cognac to find nowadays, as it's made from the Folle Blanche grape (rather than Ugni Blanc, as most cognacs are). This grape was the staple of the vineyards of cognacs before the phylloxera crisis in the 19th century. But now it only accounts for around 1% of all the grapes grown in the region. This XO quality cognac is made from organically farmed grapes, bottled without adding sugar, and the color is totally natural. It's a great example of a truly organic cognac. Guy Pinard keep cognacs from exceptional harvest years, such as 2004, to create a vintage cognac. And this is such an example. Enjoy this cognac neat, at a temperature of around 25 ° C, and from a tulip glass.